Boosalis brings national reputation, expertise to new program. Northwestern Health Sciences University has named Maria G. Boosalis to lead its new program in applied clinical nutrition, which offers students options ranging from introductory courses to graduate certificates to a full master’s degree, starting this fall. Boosalis is a professor in Northwestern’s College of Health and Wellness and the Standard Process nutrition endowed chair, overseeing the new program, course offerings, faculty, and students. Boosalis comes to Northwestern after working since 2010 as a Twin Cities-based consultant and educator in nutrition, health, and wellness. In 1991 she joined the faculty at the University of Kentucky’s Division of Clinical Nutrition, where she became tenured and taught, conducted research, and provided clinical care. From 2005 to 2009, Boosalis served as the division’s director. From 1986 to 1990, she was the nutritionist at the University of Southern California’s General Clinical Research Center. She holds a doctorate in nutrition from the University of Minnesota, where she also earned her bachelor of science degree in nutrition and dietetics. She holds a master of public health degree from the University of California Berkeley and is a registered and licensed dietitian. Northwestern is fortunate to attract Boosalis to lead its new nutrition program, said university President Christopher Cassirer. The endowed chair is supported by Standard Process, a worldwide leader in nutritional supplements offered through healthcare providers. Northwestern, based in Bloomington, Minnesota, provides world-class professional education and research as well as comprehensive health and wellness services. 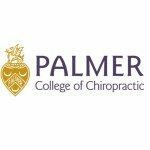 Its more than 130 faculty members annually teach about 6,500 students pursuing degrees and continuing education in accredited programs in chiropractic, acupuncture, therapeutic massage, nutrition, and other health treatments. The university, which will celebrate its 75th anniversary in 2016, has more than 7,500 graduates throughout the U.S. and in 21 countries.